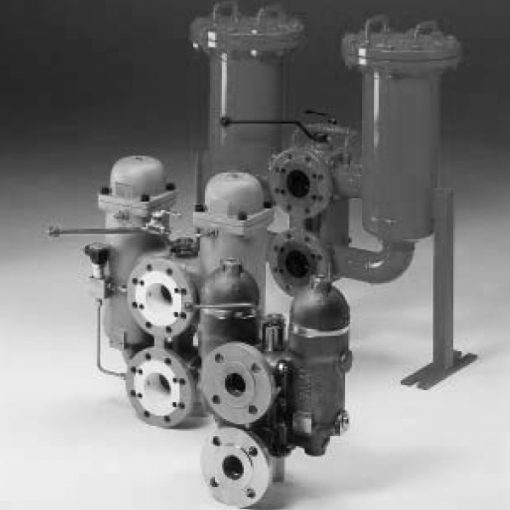 Inline filters, type PRFL and duplex inline filters, type PRFLD, are for process engineering and chemical plants. Therefore, they are suitable for filtering solid contamination from water-based media. So, the choice of eight standard sizes means that we can find a suitable filter for the particular application. Moreover, according to the cleanliness level requirement, the utilisation of various filter materials with different filtration ratings is possible. Indeed, the clogging indicators monitor the differential pressure, and therefore, allow the determination of the filter’s condition at any time. Furthermore, it’s possible to clean and reuse some filter materials, therefore reducing operating costs. What’s more, filter housings are available in carbon steel with an internal epoxy coating and in stainless steel.